Are we searching for YOU you in Johns Creek, GA – Alpharetta, GA – Roswell, GA and the greater Atlanta, GA area? We’re Searching for A Stork Lady partner(s) in Johns Creek, GA – Roswell, GA – Alpharetta, GA – and all across the Greater Atlanta, GA area! 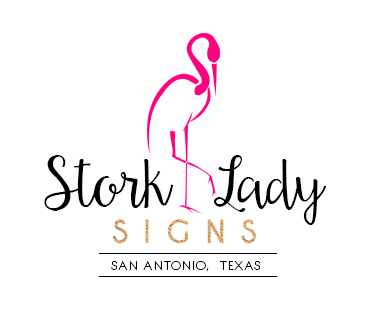 Stork Sign Rentals – Roswell, GA – Alpharetta, GA – Johns Creek, GA ~ Are you looking for extra income? We’re searching for partners in the greater Atlanta, GA area! The Stork Lady brand has a strong presence across much of the USA and we’re growing! We continually receive calls from the greater Atlanta, GA area from people looking for stork rentals to celebrate the births of new babies or grandbabies. We have been receiving calls from Roswell, John’s Creek, Alpharetta and from locations all over the north Atlanta, GA area. We also receive calls from Forest Park, Smyrna, Sandy Springs, McDonough, Stockbridge and Marietta. It would be great to have a partner(s) in the area to refer the calls to. The Atlanta, GA area is a large market with great potential for a busy stork rental business.